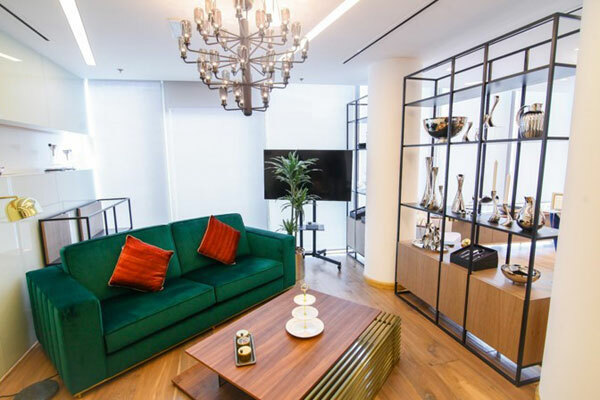 Contemporary furniture and décor design group HRH & Urban has opened its new trade showroom in the Dubai Design District to showcase its roster of contemporary furniture and décor brands to industry professionals. HRH & Urban is operated by entrepreneurs Huda Al Rostamani and Roberta Calarese, and falls under the auspices of AWRostamani Lifestyle. With a successful first year of operations already under its belt, HRH & Urban has now invested in a dedicated space for professionals that highlights the brand’s creativity and contemporary design ethos. The venue offers private appointments where HRH & Urban can showcase new collections and further its network of industry connections. The showroom is designed to introduce industry stakeholders to HRH & Urban’s carefully curated selection of curated brands, said a statement from the company. It makes room for industry players regionwide to explore exclusive global names including Normann Copenhagen, Madeira Negra, Stelton, knIndustrie, Legnoart, Cristina Re, Kosta Boda, Ozlem Tuna, Bloomingville, AYTM and Georg Jensen, it stated. "The opening of the showroom is an opportunity for us to expand our design horizon and connect with like-minded business partners in the fostering community," remarked Said Bassam Younes, HRH brand manager. "We have actively curated a collection of designers and brands that we felt really needed to be introduced to this region because they offer something very special," he stated.